Most of us struggle with having too much stuff, and not enough space. If you’ve chosen to live in an apartment instead of buying a home, you’ll enjoy a great amount of independence, but also might find yourself a little tight on space. One simple solution for that is to just get rid of stuff that you don’t need, but nobody likes getting rid of things. So what’s the next logical solution? Creative storage ideas. We have a few surefire ways to stash your excess stuff while making your living room look great in the process. Having an ottoman with storage inside is one of the best ways to creatively store things in your living room. Not only does it hide your clutter, but it provides a lovely place to sit. Ottomans come in all shapes and sizes, and if you’re on a budget, there are plenty of ways to make your own ottoman! A dresser may not seem like an example of creative storage ideas, but utilizing one in the living room is an often overlooked storage solution. Many TV stands lack storage space, especially hidden space to stash things you don’t want out in the open. Using a dresser as a TV stand provides a place for your television, as well as a place to store plenty of things in a hidden fashion. This may seem obvious, but using your existing space is one of the best ways to provide storage, especially when space is tight. Instead of bringing in extra cabinets, build shelves into the walls. Space is already there, why not use it? Just be sure to check with your apartment community before hanging any shelves. In addition to being smart on space, built in storage can make for a beautiful addition to the living room. Instead of worrying about filling those empty walls with artwork, you can fill those walls with all of your possessions. If you have a small space but enjoy playing games or entertaining guests, nesting tables are a great way to pack a lot of table surface area into a small space. These tables stack into each other when not in use, and can be pulled out to provide extra table space. If the short tables are sturdy enough, they can even be utilized as extra seating! The utility is key when planning your creative storage ideas. A coffee table is a necessary part of any living room, but it also takes up a decent amount of space. While nesting tables are one way to cut down on space, another solution is to turn that coffee table into storage! Using a large flat chest as a coffee table allows for plenty of storage space inside the chest and makes for a unique look to your living room! 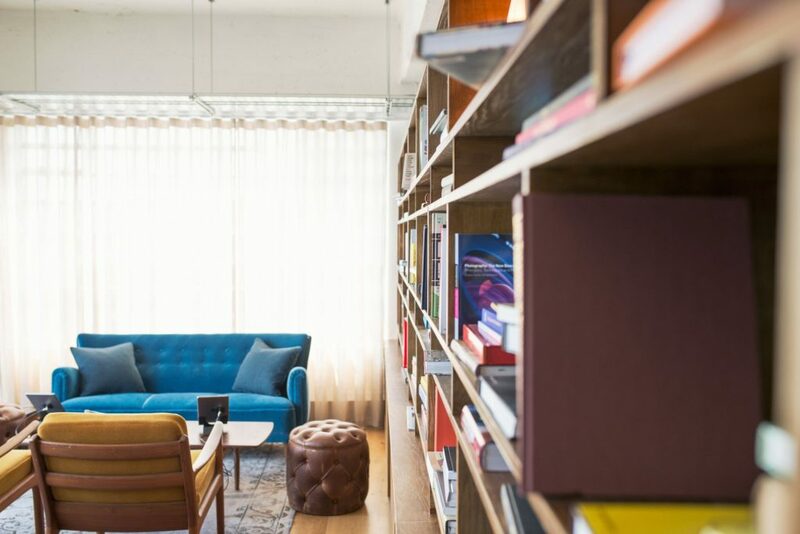 Now that you have some creative storage ideas to make the most out of your space, it’s time to move on to other ways to make your apartment pop! Keep reading here for consistently great ideas for apartment living. This entry was posted in Apartment Living, Apartment Tips. Bookmark the permalink.